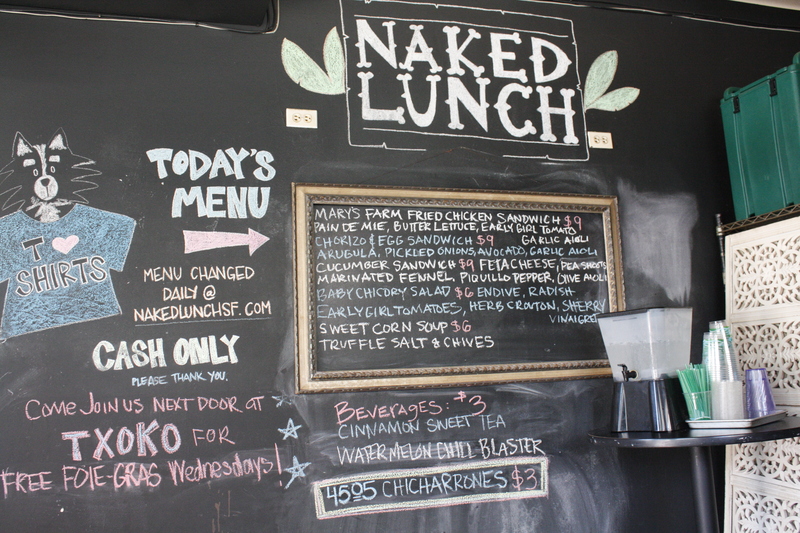 Naked Lunch, located at Txoko Broadway and Kearny is open only Tuesday to Saturday from 11.30am – 2.00pm. Txoko has happy hour from 5:30pm until 7:30pm. The chalkboard was really fun and just a reminder, the menu changes and the restaurant is cash only. The $3 Cinnamon Sweet tea looked interesting. The tiny space is mostly the open kitchen area. 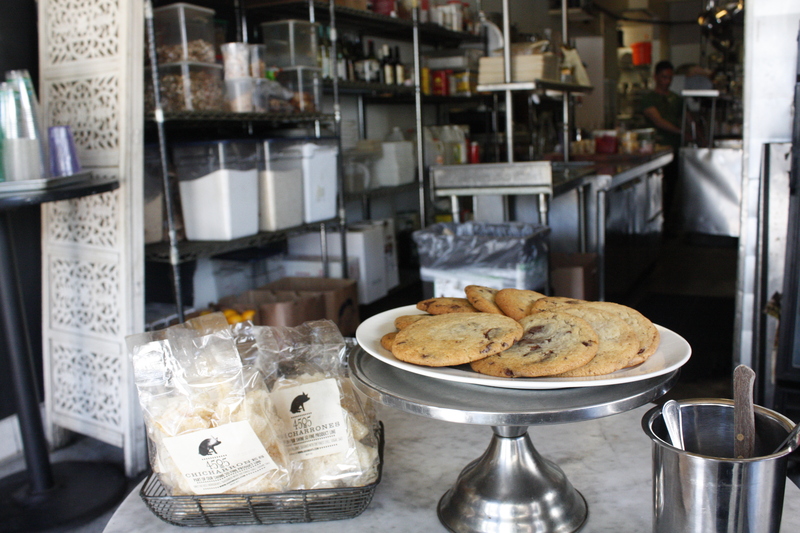 The cookies and chiccarones looked quite tempting. We had to order the Mary’s Farm Fried Chicken Sandwich Pain De Mie, Butter Lettuce, Early Girl Tomato, Garlic Aioli for $9. The roll was perfectly soft and encased the fresh crisp lettuce, mayonnaise, acidity of the tomato and the nicely crusted, tender chicken. 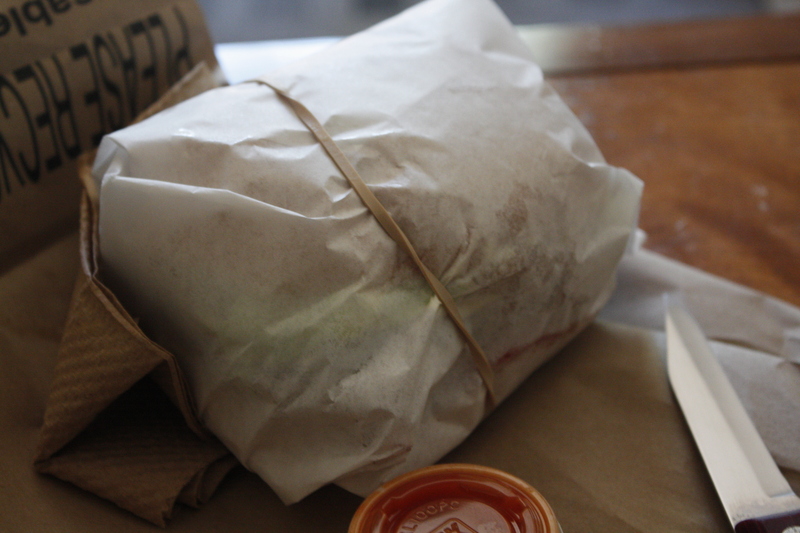 We dipped the sandwich in the buffalo sauce and we were golden. We would have to return for the Grilled Skirt Steak Sandwich Crispy Taters, Sweet Onion, Arugula, Pickled Shishito, Horseradish Aioli for $10 or Potato & Leek Soup Chives, Goat Cheddar for $6.